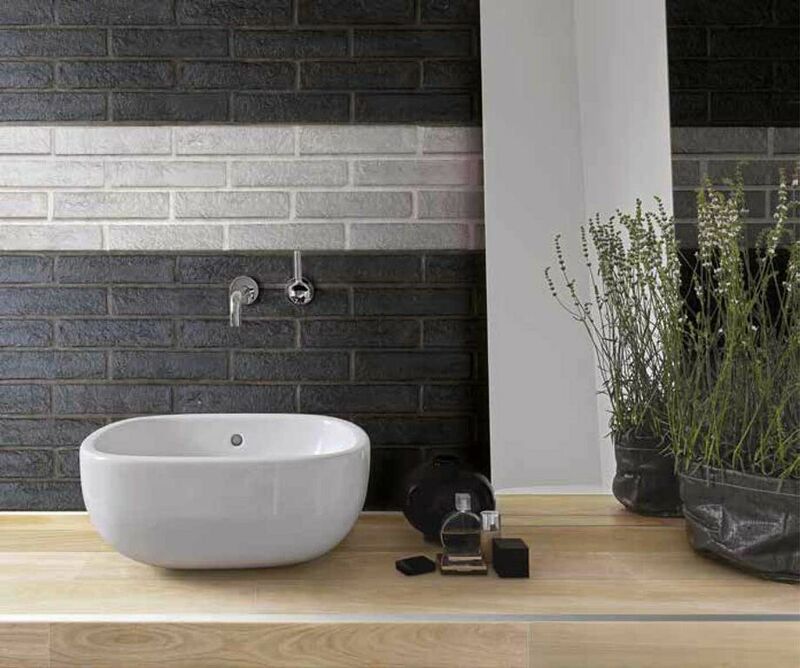 With the perfect blend of of contemporary style and timeless appeal, it's sizes makes it possible to create stylish brickwork surfaces on both floor and walls whether indoors or out. Several of the tiles (such as Silver and Gold), melts and compacts at lower temperatures than classic stoneware, making it possible to obtain beautifully exclusive glazes that preserve the resistance of the tile. In the end, the result is a ceramic product with a striking appearance and such impressive resistance that it can be used on floors. Click here to visit the Brick page.